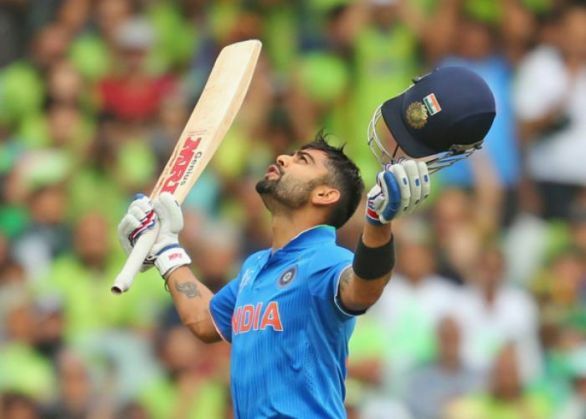 With 10 wins out 11 matches, India's on-field plans have worked as per the script and star batsman Virat Kohli feels that it is imperative to maintain composure off-the field as they deal with massive expectations in their quest for a second ICC World T20 title. "In all these major events, the skill required is how you manage yourself off the field. On the field, it's probably the safest and quietest place for you, especially playing in your home country," Kohli said at the pre-match media conference ahead of their opening encounter against New Zealand. "Field is where you get away and is the place where you face the least pressure in big tournaments like these where you have a chance to express yourself," stated Mahendra Singh Dhoni's deputy. "The key would be how to manage yourself away off the ground. That requires a collective effort from everyone. No one can afford to drift away. Rather than focussing on the strategy of other teams, we should rather focus on ourselves," said Kohli. The 27-year-old agreed that with so much being written, shown and talked about, it is very difficult to ignore all that. "It's very difficult to ignore each and everything that's been said to you. Actually, people will come up to you and say we really want you to win the World Cup. At home, we expect that and are prepared for it." The stylish right hander agreed that the vibe and feel of a big-ticket event is completely different. "It's a big event and the whole feel and vibe is different from a bilateral series. We all have experienced it before and the key is to learn from the past, where calmness is required in big tournaments like the ICC events because you can get carried away or be over-excited. Both these things are not great for any side going into the tournament," he added. "Your focus can shift in terms of watching other opposition play on rest days. It's very important to stay away from all those things and focus on what your team is doing and not on whether someone is going to win or lose for you to go through. There has to be good balance," feels the Test captain.